There are 175 million people on Pinterest. 75 million of them are in the United States. This pales in comparison to Facebook's 2 billion (yep, with a “b”). But don't let this dissuade you, Pinterest could still be more valuable to photographers than Facebook, especially now. If you are a photographer who is ignoring Pinterest, then you are missing out on what may be the best marketing opportunity on the internet for you. As someone who had always ignored Pinterest in the past, I made it a point this year to invest some time in learning how to use Pinterest. Why Pinterest For Your Photography Business? Pinterest seems like it was custom made to promote a photography business. The demographic that mostly makes photography decisions (wives and moms) is well represented on Pinterest. It's a community of users that are looking for creativity (like your awesome portrait work!). If you think that Facebook and their billions of users are where you are going to find your clients because that is where they hang out…you're probably wrong. It's true that they are likely to be on Facebook, but so is everyone else. Every photographer. Every business. Every person that could possibly want the attention of your potential client. You can't compete with ads from million dollar companies and cat videos. It's a losing battle, even though they aren't even your direct competitors. Facebook recently let everyone know that followers of business pages will be even less likely to see link posts from those pages. A tiny fraction of your followers are seeing your non-paid posts with links in them. Of course they are doing this to encourage businesses to pay money for paid ads and to prevent users from leaving Facebook (so they can run more ads of course). It won't be long until Facebook is dominated by larger companies with the budget to dominate the limited ads space. IF you get lucky and your potential client even sees your ad or post, they are probably scrolling past it so fast they don't even know it wasn't just a photo of their friend's kids or something. Their attention is spread so thin on Facebook that they will never see your post. That's right, unless you are spending money on Facebook or people actively click specifically on your page, they have no idea what you are up to. Want to promote that incredible blog post you wrote about how to pose the family dog? If you post it on Facebook its yesterday's news before you can even write the next one. But on Pinterest, posts have staying power. I don't know the original source but everywhere I look while researching this article says that a Pinterest post that gains some attention can stay relevant and findable 1,600 times longer than a Facebook post. In other words, good content will stick around. So the first thing you need to do is write useful content that is relevant to your potential clients. A story about your trip to Bora Bora, while compelling, probably is not the best way to draw in potential family portrait clients. So think about what your clients are searching for and create content on your blog about that. If you need some inspiration for blog content, check out my other article on Blog Topics for Portrait Photographers. Just like other social media sites, Pinterest has its own terms. In order to effectively use and navigate the site to market your business, you need to know what they mean. A Pin is the Pinterest version of a post. It is an image or video that someone posts to their page or a board. Like Instagram, Pinterest users connect and communicate through photos and video. The more important part of the pins for you business owners though is the link. The link refers the pin back to its origin, so just like a link post on Facebook, it can generate traffic to your website. Once someone adds a Pin, that Pin starts showing up in the feeds of people that follow you or follow the board you posted it to. Pins are also searchable. This is a huge way in which Pinterest differentiates itself from Facebook. Facebook is more or less chronological. Rarely do people search for topics in Facebook. That happens all the time in Pinterest though. You want to try and create content that will target what you think will be common searches on Pinterest. This is also why Pins have such a longer useful lifespan than posts on other social media. Someone could be looking for “dog portraits in Cleveland” a year or more after you pinned your blog article on that exact topic. No one will ever see a year old post on FB or IG. A board is a collection of Pins, typically all related to the same subject. This is how users collect stuff they like. Boards keep all your pins organized by subject so you can find them later when you want to try that brownie recipe you saw 3 weeks ago…or…you know…hire a photographer! This is basically similar to what you would see in any social media network. It is a running feed of all the new things being posted by the people and on the boards that you follow. Like I mentioned earlier, even old Pins can come back to life if someone searches for it, finds it, and pins it to their board. At that point, if that board has followers, it starts showing up in the feed of an entirely new audience. 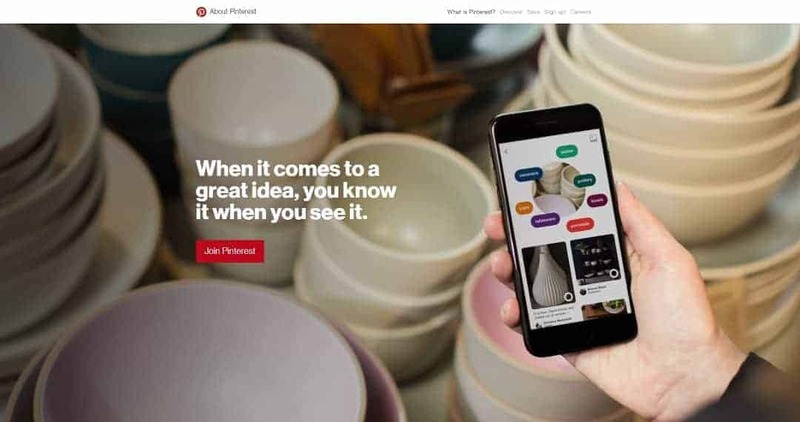 Pinterest makes it really easy to find things but it can be a little quirky to get started as a business. This is something I would never have even known existed if I hadn't gone looking for it. Using a business account gives you access to analytics, promoted posts, and rich pins (which we will talk about later). Make sure you completely fill out your profile, including a photo and everything. Doing so makes you look more professional. It is important that Pinterest is linked to your website. You need to do this in order to access the analytics. Go to your profile and click “edit profile” and then “verify.” This is where it gets a little technical. Pinterest will give you an html file to download and place in the root file of your website's directory. The process varies depending on the type of website and host that you have so going into that is beyond the scope of this article. If you don't know how to do this, google is your friend. There are plenty of helpful information on the web on how to do this. Start pinning. You won't get a lot of love if you only post to promote yourself and don't ever become an active participant in the community. So don't only pin your own stuff. Find useful content from other photographers and other sources that your clients will like and pin that to a board you create. You may want to quickly check to make sure you aren't pinning content from another local photographer, though. You don't need to be doing advertising for them. Find someone with great content who is located on the other side of the country. If you are used to doing things that get you noticed on Facebook or Instagram, you just need to keep doing those things…only do them talller! Pinterest is all about using the visuals to capture attention. If you're reading this to promote your photography website, I am not going to tell you how to create compelling images. Just go read the other 1000 articles here about photography. But, there are certain things you can do that are specific to Pinterest to draw attention to your post. Pinterest is organized into multiple columns and scrolls down. This is different from Facebook's one news feed. So you want to make sure that the Pin image you use is optimized for this format. Vertical works best. Horizontal photos will be shrunk small enough so that they fit in these narrow columns, which means that they will be very short. This also makes them very easy to miss. You want to try and take up as much real estate on the Pinterest feed as you can. This will make your Pin stand out. I would suggest 600×900 as a good starting point for pixel dimensions when you are making an image to Pin with your post. You can go longer, but too long and it might get lost on smaller screens. I would suggest experimenting with different sizes and see what you like the best, what fits your brand, and, most importantly, what works the best. When someone is browsing through Pinterest, they might not be reading the titles of the Pins. Even if they are reading some of them, they are not reading all. So you want the content of your post to be readily apparent. If you are Pinning a blog post about “what to wear for a senior portrait” then simply using your best senior portrait images will not be enough. Add some text on the Pin image to explain what the post or article is about. Make it look good and try to use colors that are complimentary to the dominant colors in the image you used. Most of all, you want to make it legible and big enough to read as someone scrolls down. This way if they happen to be interested in the topic, the text will make them stop scrolling. Then they look at the title and description, which hopefully gets them to click. If you are sharing a post on Pinterest yourself, then you can pick the cover image yourself. However, normally, when someone lands on your blog post or even one of your main pages and wants to share it on Pinterest, they get to choose the photo from the image that they want to post. I use WordPress for my website…HERE'S WHY, but other services may have also a built in option that let's you designate a specific Pinterest image that will get shared when someone shares your article on Pinterest. It is important to try and control the image that gets shared on Pinterest. First, if you create the perfect Pinterest image like we already talked about, then you want people to use it. Second, some of the other images might be terrible for Pinterest. They might be horizontal. Even worse, Pinterest automatically pulls the “alt text” from the image. If you are using alt text for SEO purposes, then it probably isn't a well crafted sentence about the article, its just a description of what the picture shows. So you want to be able to pick a Pin image and only give people visiting your site that option. If you also happen to use WordPress, the plugin I use to accomplish this is Social Warfare Pro. They have a free version which is also great, but it lacks this Pinterest feature. Use this or figure out how to accomplish the same task on whatever platform you use. Otherwise, even your best shared content can look unprofessional on Pinterest and this will kill the traffic. You always want to put your best work out there. If you are saying, “what in the world are rich pins?” then you would be having the exact same reaction as me. Rich pins are “enhanced” pins that display more information than a regular pin. That information is taken from the metadata of the webpage it links to. There are four types of Rich Pins: Product Pins, Recipe Pins, Article Pins, and App Pins. As a photographer, you are likely only using Article Pins, at least on your business page. I'm sure everyone will love your new quiche recipe, but save that for the personal page. Article Pins pull the metadata from the blog post or article and display (along with the image) the headline, author, and description. So if you have a compelling photo or image then you may get someone to look at the meta data. At this point, you want to make sure the metadata is all filled out and proofread on your post. So many people publish a post and forget this. What happens then is that it will just pull the first sentence or two from the article and depending on how you wrote it, that may not make any sense at all by itself. The “meta description” as it is called on WordPress sites is basically a little ad for your article. You want to write something that makes a person looking for that content want to click on the link. They need to know what the article is about and why it will solve their problem. 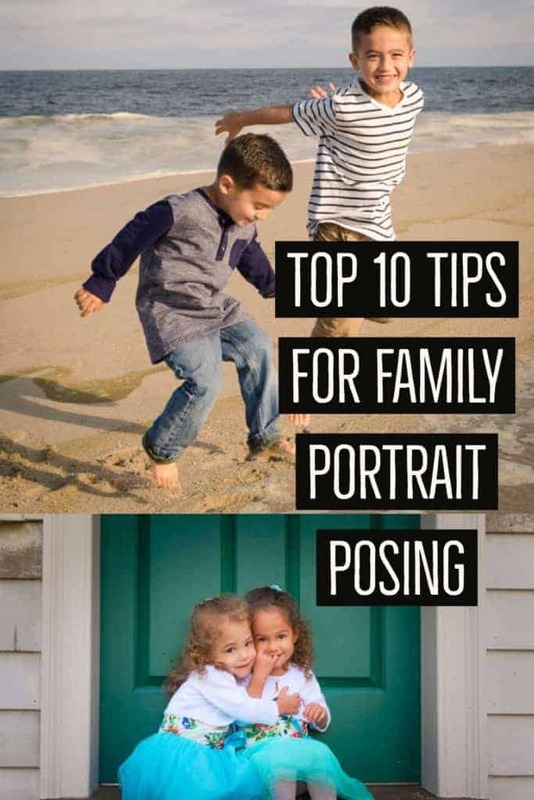 Try something like, “I'll go through 10 tips to help you prepare your family for their portrait session, from wardrobe to what props to bring. Here is your complete guide.” You can steal that one, free of charge. 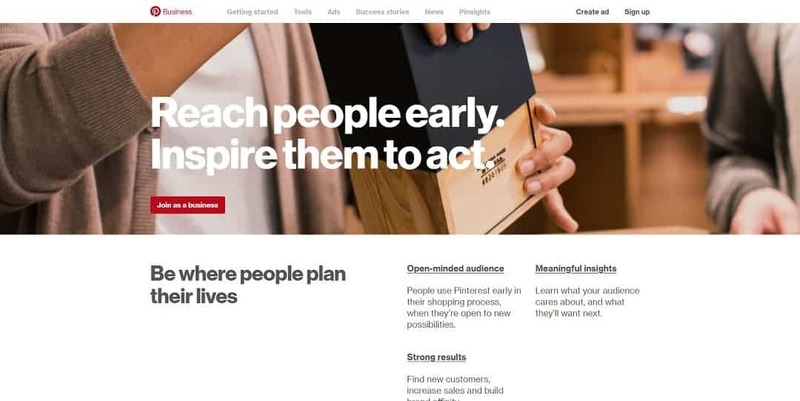 A lot of people forget that Pinterest is just as much of a well run business as Facebook and as such, they also have professional level tools to help businesses. Here are two you don't want to overlook. Pinterest has them too now that you set it up as a business account and linked your website. You will want to see how your Pins are performing. What styles seem to get the most attention. Which ones are completely ignored. This kind of information can help you create more compelling Pins and generate more referral traffic. Pinterest is such a good ecosystem for photographers that you may want to divert some of your Facebook ad money over to some Pinterest ads. I haven't tried it yet, so I can't talk to the results, but it seems like a good fit. If you visit the Pinterest Business Page, you will find a lot of educational materials that will help you learn to use Pinterest more effectively. You can also search the web for articles that give overview, like the one you're reading now, but I would suggest digging into the content put out by Pinterest itself. That way you know that you have the most up to date information about using the site most effectively. Like any social media site, they tend to favor people that utilize whatever new features they put out so being up to date can really help. As someone who is new to Pinterest, I am sure there are tips and strategies that I am not yet aware of.